The other day I got an email. It was from LinkedIn, informing me that I would soon be able to “share and record videos” directly on the platform. It’s news those of us in the B2B space have been waiting patiently for, like a labrador with sad eyes, for years. Previously on LinkedIn you could only share videos from other sites. You couldn’t upload video natively onto the platform, as has become so ubiquitous on Facebook, Twitter, Instagram and others. If you shared a link from YouTube it would embed itself and start playing in-stream (with the sound off), but the experience was still a long way behind most other social platforms. 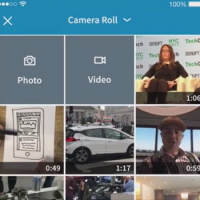 This update finally brings LinkedIn kicking and screaming into the modern video-mad world. Expect it to start hitting your news feed in the next few months. Sadly I can’t share with you the square, Instagram-esque video LinkedIn has created to announce this update, because I can’t yet see a way to embed LinkedIn video content on other sites (hopefully this will be rectified soon). You’ll just have to view it by clicking here. Sharing and recording will be done via the LinkedIn app. Initially only individuals will be able to post native videos, but company videos are said to be coming soon. We already know video is amazing for B2B brands on social. In fact, we wrote a whole guide about it not long ago. Video is hands-down the best way to reach time-poor people with short attention spans as they scroll through their social feeds. Moving images grab hold of the caveman part of your brain telling you to pay attention and get emotionally invested. But Facebook isn’t always the best place for B2B marketers — not everyone is happy to think about work outside of work hours, on a platform they associate with friends and family. Now we can avoid that problem by reaching busy employees in a suitable social environment with engaging, interesting, useful video content. Here at Skeleton we’ve found incredible success using LinkedIn to reach new members of our target audience, so we’re very excited to finally be able to start testing with video. Will it work? 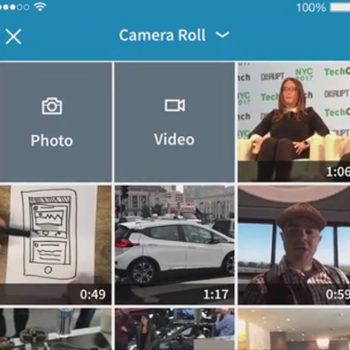 Well, the beta version of LinkedIn video resulted in 20x more shares than any other content on the platform. That’s even better than the Facebook stats I mentioned above. 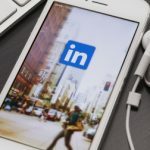 So, if video on LinkedIn is set to blow up as much as it did on Facebook — with the dramatic rise in viewership and engagement that entails — then this is a great time to start speaking with its 500 million global users. There will definitely be a competitive advantage for those B2B brands that jump onto this opportunity first. But you also need to think through what you can offer on LinkedIn with video before you go rushing in and spamming your entire network. Like any other type of video marketing, consider who you’re talking to and what unique value you can provide them. Otherwise you might find you’ve blown your first and only chance to connect in a totally new way with your audience. We’ve been thinking about what kind of video content is most likely to succeed in this brave new world. Here are our top 4 suggestions for how you can build your brand and gain new customers with video on LinkedIn. Teach your audience something new. Give them direct, useful, actionable advice. They’ll see you as a helpful authority and may well think of you if they need assistance in the future. Your video doesn’t need to be overly long or complex. This short, simple example from Hootsuite could just as easily be created and shared on LinkedIn. Make sure you understand your potential customers and can offer them the kind of advice they’re hungry for and you’ll do well. Ok, this is a video from us. But I think it’s a great example of how video can can help B2B brands (like us) come across as more human on social media. A glimpse behind the scenes like this shows that there are real people in your business and allows leads to engage on a more authentic level. You can film your team at an event, on an away day or just doing what they do in the office. As long as you keep it semi-professional, this can turn a faceless brand into a living, breathing group of people. Salesforce have created a whole series of gorgeous case studies that would be perfect on LinkedIn. They’re customer-focused, feature lots of honest emotion, and draw you quickly into the story. As long as you create case studies with an emotionally compelling angle, that focus heavily on the pains of your clients and how you managed to solve them, I think this could be a form of video content that does incredibly well on LinkedIn. As I said before, we find LinkedIn a great platform for converting new qualified leads. We may see even better conversion rates once video is properly rolled out. Once your leads are aware of you, it’s time to start encouraging them to take action of some kind. This might be downloading a free resource, signing up to a webinar or even getting in touch with sales. Whatever it is, keep it light and focus on the benefits. Here’s a great example of Moz explaining why you should check out their Keyword Explorer tool. Hopefully that’s given you some ideas for how you can use video on LinkedIn to complement the rest of your social, video and content marketing efforts.